Do capsuleers dream of earth 2? When I wrote my first dream article I was rather enthralled about lore and how it could give a more meaningful experience to players participating in this great game. I felt this would be especially beneficial in high sec, where the immersion into lore can give more casual solo players, incentives to delve deeper down the rabbit hole. But as with all things dream related something stirred my mind. In this case, it was the movie Inception that made me think more about dreams. Especially the part of taking dreams to another level. CCP in the past and future clearly has had big dreams for EVE Online. 99% of those will probably never see the light of day. But my mind always drifts back to those two videos CCP showed at a Fanfest long ago. Planetary flight and walking in stations. Those two themes regularly come up for discussion. They either come up for discussion on Reddit or a new forum thread on the official forums. When we play EVE we have interactions with our surroundings. The moment you undock you basically consent to PVP. Through the hulls of our spaceships, we interact with each other, we interact with activities, with station, citadels, stargates, and anomalies. What we, however, do not do is interact with planets in any meaningful way. We place some modules on them but that’s it. CCP games did try to delve into this with the game DUST 514. 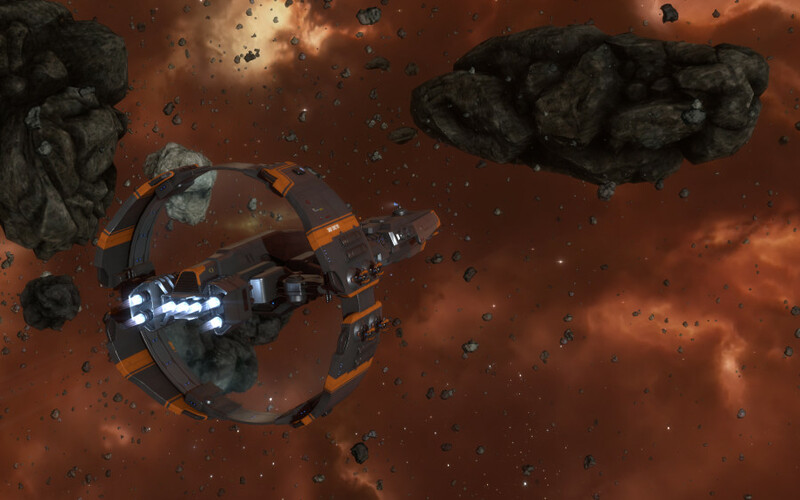 They tried to incorporate FPS combat and direct interaction with EVE Online through planetary combat in which EVE online players could participate. Sadly it failed miserably, one of the reasons it failed being the PS3 exclusivity deal. But the concept is still part of my dreams. Imagine yourself taking a shuttle or a frigate or even a fighter down to the surface of a planet. And on the surface of this planet, you can explore the lore. Or go hunt local fauna for your captains quarters. Maybe you fancy some fishing on a water planet? Or visit a floating city on a gas giant where you can visit a local arms dealer selling special drugs that had to be smuggled. It does not have to be big but some kind of avatar-based gameplay would have to attract new players. My dreams might be far fetched now, but in the not too distant past CCP thought the same and dreamed the same. My hope is that CCP will find their groove again and will recognize that immersion can lead to player retention. Wonderful goods from you, man. I have bear in mind your stuff prior to and you are simply extremely fantastic. I actually like what you have got here, certainly like what you are stating and the way in which you say it. You are making it entertaining and you continue to care for to stay it wise. I can’t wait to read far more from you. That is really a wonderful site. You actually make it seem really easy with your presentation but I in finding this topic to be actually something that I think I’d never understand. It sort of feels too complex and very large for me. I am taking a look forward on your subsequent post, I?¦ll attempt to get the hang of it! I believe this internet site has very good composed content material content.